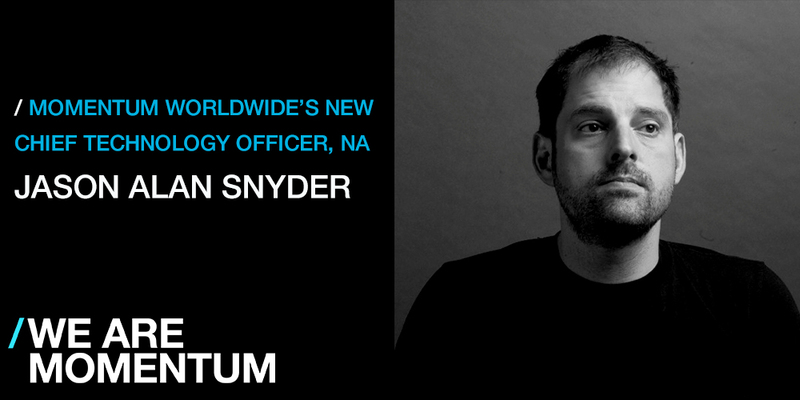 Momentum Worldwide has appointed senior vice president of creative technology and integrated production to the newly-created role of chief technology officer (CTO). Beforehand, Snyder had held positions at both AOL and Yahoo! Music. Chris Weil, chief executive officer at Momentum Worldwide, said: “In his role as a futurist, technologist and inventor, since joining Momentum, Jason’s creative and strategic thinking has elevated our work to a whole new level. His ability to look at and understand what will be happening in the months and years ahead enables us to provide our clients with best-in-class, future-proofed, solutions. In his role, Snyder will work with an extensive client roster, including Microsoft, Coca-Cola, United Airlines and the U.S. Army.